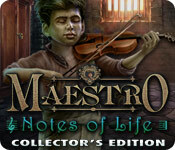 Maestro: Notes of Life Collector's Edition is rated 4.4 out of 5 by 94. Rated 5 out of 5 by smoovasbutter from Slight improvement over the first This takes place where the first game left off. The ominous sound effects are very well done and add atmosphere to the proceedings. I think this game is slightly better drawn than the first game. Like the first game, there is a huge gap in logic to the story: Why is the player character never attacked by the evil powers? It seems like the villains are only capable putting barriers in front of the player to slow him down but they never try killing him, even though they easily kill the victims of the story. Like the first game, the HOS are quite hard and the hint meter takes forever to recharge even on casual mode. Those who like a good challenge will enjoy this while those that take it easy might not. 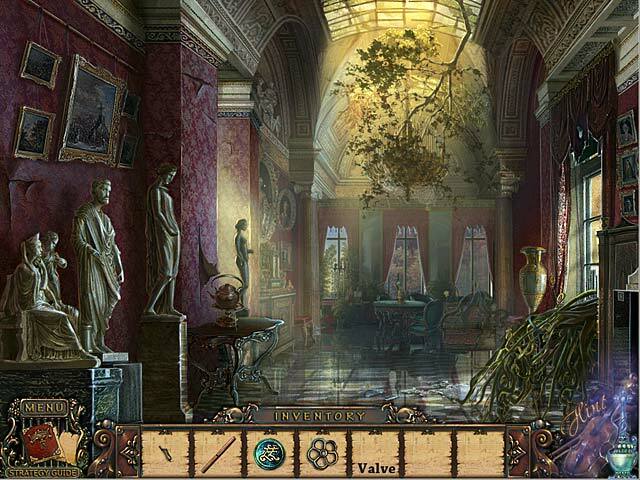 Rated 5 out of 5 by carrick201012 from I loved playing this game but wasted a lot of time in areas where there was nothing to do. A strategy option ( or as you call it 'cheat' ) would be g Great challenge but frustrating when unable to find an option. Rated 5 out of 5 by neilskinut from they are all good play this game by looking at the reviews. The reviews do not lie. Great game and fun to play. Liked it so much I purchased the other one. You will not be disapointed. Rated 5 out of 5 by sapoe from great sequel! Just two words, LOVE IT! Another good sequel from this bunny developer. I really enjoy this game from beginning 'til the end. Also all of this series is one of my favorite games I ever played! Thank you ERS for making this eerie yet good game! I adore your gorgeus graphics. Good job, dev. Rated 5 out of 5 by Tilliebird from This company makes the best games! (One little annoyance though...) I can't add anything to the other positive reviews out there. The graphics, gameplay, and storyline keep it interesting. The only issue I have with this game (as well as others from this company) is that whenever you move your curser to the bottom of the screen to open your inventory it automatically brings up the pause/menu screen. It drives me crazy and has made me stop playing their games in the past. I have no idea why this happens - I am going to try to figure out how to submit the issue to the company directly - but that being said - as annoying as it is, I still loved this game. Rated 5 out of 5 by Jem_Jerrica_Guy from Smaller file size, but just as good. Interesting turns that makes you wonder now part 3 will turn out. Rated 5 out of 5 by Bloodmaiden from OMG I freaking loved the Maestro series! I played the demo for not even ten minutes before I decided I was in love with it, and bought both games! I reeeeally love the music. It is such a fantastic game. I've played them both several times now and I never get sick of them. They're so much fun! Rated 5 out of 5 by 1Fishy from Very Enjoyable Game! I really enjoyed this game. I found it to be a good value for my money. It was not so short that I would say, "What, that's it?". I found that I had several hours of relaxing fun. It was difficult enough to be a challenge, but not so much so that I wanted to scream. It was neither too simplistic that caused me to want to quit the game because it was too boring. The mix between the mini games and HOG was good. The HOGs were not a test in eye sight and the ability to guess what an item was. I like that. It's infuriating when companies make their HOG so obscure that you require a magnifying glass and a glass of wine to guess what an item is. Those are often "by guess and by golly" luck. The mini games were relevant to the main game. Another plus. The graphics were good, bright and vibrant; well thought out. I enjoyed the story, even though I had not played the first game. I could only rate it "good" as I do not know how well it linked to the first one. In the game, it was very good! Very pleased overall. Would like more games of this caliber! Rated 5 out of 5 by knittypreaty from very detailed I am impressed by how detailed this game is. Someone put a lot of planning into it. The focus is on patience, and problem-solving. 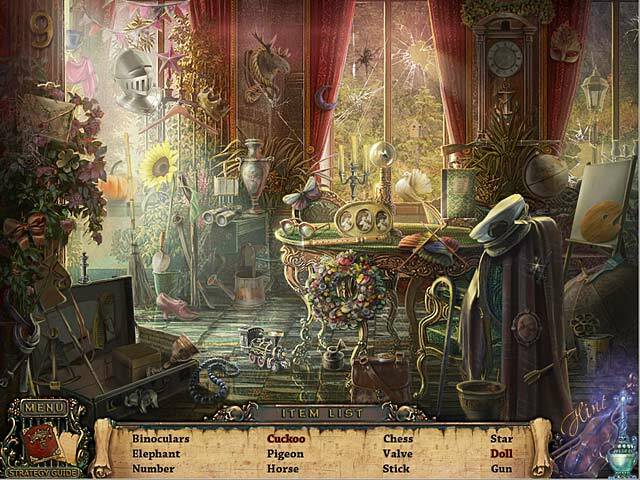 Just difficult enough to give some challenge if you are already familiar with this type of game. 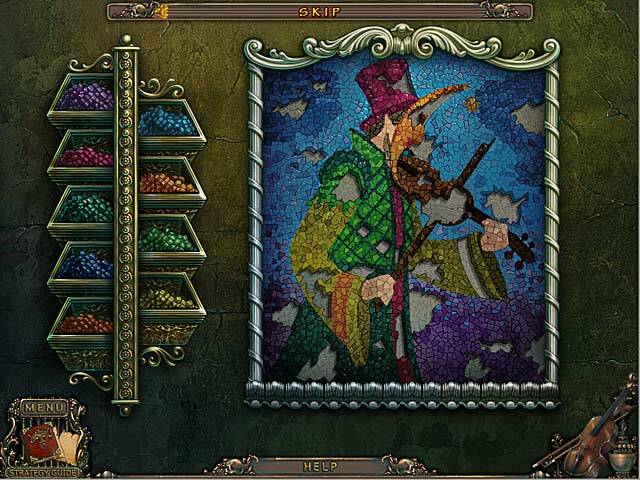 Good puzzles too. If you liked the first one, which I would recommend playing first to get the background, this should not disappoint. Tip: be very observant as you go.